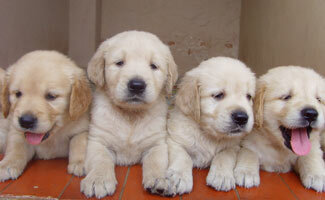 There are many things to think about when you look at bringing a new puppy into your family. From how to pick out the right puppy to what you will need to prepare for your puppy’s arrival, there is so much to plan for! The planning doesn’t stop after your newest family member comes home either. The life of a new puppy owner is almost as hectic as the life of a new parent. Fortunately for a puppy owner, the baby phase is much shorter and much less expensive than having a human child. Is Everyone On Board With Adopting A New Dog? Once everyone is on board, it is essential that the family know what duties are expected of them once the dog comes home. Taking care of a new dog (especially a puppy) is hard work and involves a variety of chores. Someone must be willing to feed the new puppy, walk it, pick up after it when it goes to the bathroom, train it in basic obedience, reinforce housebreaking (learn more about housebreaking a puppy), and someone must even be willing to play with the puppy. Some of these tasks can become extremely repetitive (particularly taking your dog out to reinforce potty training), so it can help to put chores on a rotating schedule so that no one family member comes to resent the new puppy due to the repetitive tasks. There are also the more fun aspects of pet ownership including whose room will the puppy sleep in, who gets to wash the dog, who shops for (or pick out) toys, etc. If there are younger children in the household, it is important to highlight the fun as well as the tedious chores to keep everyone excited. Sharing the responsibilities will help you bond with your new dog and your family members. Most puppies will chew anything and everything they can get their teeth on. So it is important to emphasize picking up toys and clothes that should not become puppy food. 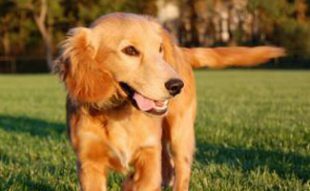 It is important not only for the safety of your possessions but also for the safety of the puppy – intestinal obstructions from ingested toys and clothing cost thousands to remove and put your pet’s safety at risk. Just as with children, it is important to puppy proof your home. Be sure to cover electrical sockets that your puppy can reach, tie up and cover wires that can be chewed and remove small items that present choke hazards. Puppy proofing also includes teaching children in the house acceptable and unacceptable behaviors when it comes to their new family member. Toddlers especially have a difficult time understanding the importance of gentle play. Not only can rough play scare an eight-week-old puppy, but it may also physically harm the dog. Young children should also be warned about the sharpness of puppy teeth and reminded to keep their hands safely out of reach. A helpful trick to teach young children is to have them offer an acceptable chew toy in place of the hand. Lastly, it is important to teach a child that they should never wake a sleeping dog. Like people, puppies are unaware of their surroundings when they are sleeping and being shocked awake by a young toddler could lead to a bite incidence. Now it’s time to go shopping for those must-have items for your new family member. Most people tend to over shop for their new puppy, and there are only a few items that absolutely have to be on your list. Choosing a dog food for your new puppy can be incredibly confusing. With so many dog food brands it can be difficult to pick one that is right for your dog and one that works with your budget. Most breed specific rescues, breeders and shelters will feed a particular brand of puppy food. If you intend to change diets, it is important that you gradually transition them into the new food. When you talk to the current owner about your puppy, make sure to ask why they are feeding a certain food. Often shelters feed puppies a certain brand because it receives a reduced price. Sometimes breeders claim great results with a certain brand, so they use it across the board. It is also possible that your puppy has food allergies or other dietary considerations. Whatever the reason your puppy is feeding on a certain food brand it is important for you to know before you switch to a new food. 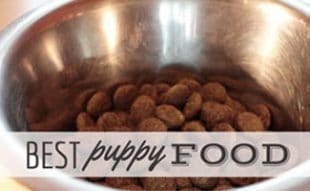 Need a little help in picking the best puppy food for your new dog? Look at the ingredients list — you can determine a quality dog food from the first three ingredients. A dry dog kibble that lists grains as the first ingredients should be passed over for better quality food that lists meat as the first ingredient. It is also crucial that you feed your puppy a puppy formulated food as the needs of a young dog are much different from the requirements of an adult dog. It may seem silly to find a vet before you have even brought your puppy home, but it is important to find one that you are comfortable with before you need veterinary care. One great way to find a local vet is to ask for a recommendation from friends, breeders, shelter managers or rescue group owners. Don’t be afraid to visit offices and interview vets to find one that you like. It is essential that you are comfortable with your vet since it is possible that you will be visiting them more than once a year – because some dogs are just born making trouble! You can also find out from your shelter, breeder, or rescue group when your puppy is due for its next round of puppy shots and set up an appointment with your new vet to get these shots done on time. It is crucial for your puppy’s health that it stays current on vaccinations so if your puppy does not come with all of its puppy shots it is your job to find out when they are due and make sure they get done. This video has many more tips and tricks for you to consider before, during and after bringing a new canine addition into your home. What are you most excited about with your new puppy? Help! How Do I Housebreak My Puppy? Canned vs Dry vs Grain Free: What Is The Best Puppy Food? 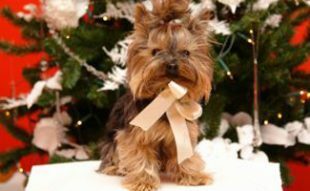 Is A Christmas Puppy A Good Idea? I do like that your article goes over a list of what you will need to have before bringing your puppy home. It is particularly great that you include a comforting item on the list. After all, this kind of thing can really help with relieving your puppy of any anxiety they might feel when moving to their new home. The author here is obvious a vet who really cares about and enjoys helping both pets and their owners. The article gives some very good advice that all new puppy owners should most certainly follow. The first step when getting a new puppy is to take the little one to see a vet. Just make sure that everything is fine and they are in generally good health. This also includes giving them some vaccinations and making sure their booster shots is all up to date. The process could be considered like buying a car. I am sorry for the analogy and hope others do not think it is too crass. However, you would certainly not even consider buying a car without taking it to a mechanic for at least a good once over. This is the same thing, just make sure that your pet is healthy and has no obvious problems. If they do, it is certainly much better to know ahead of time what kinds of issues you are (or will be) facing. It is also quite possible that bringing a puppy into a situation where not everyone is welcoming could lead to abuse. The author reports that there have been cases of roommates giving a new puppy beer just because they wanted to see what effects it would have. One of the most important things is making sure that everyone is one the same page about the new puppy. Each member of the family should be very clear on what things will be like after the puppy comes home. This is especially true with children. Let them know what to expect and any changes in their routine that this might lead to. Many of the tasks which the new puppy will require can become extremely repetitive. It may be helpful if you can convince everyone to take part in these tasks. Maybe you can create a schedule and have different family members help with various responsibilities on a rotating basis. One of the things we did in my family when the children were younger is to actually have a family schedule as to who would do which activities with our dog, April. This generally worked fairly well, but you need to make sure that it is followed and the all of the dog’s needs are indeed being met. You should puppy proof your house. Since puppies like to bite and chew, it is very important to cover up or limit access to anything which could cause danger it is were bitten or chewed. This includes power outlets, wires, furniture and anything else which you can think of. Thinking back to my own experiences, I can assure you that no matter what level of puppy proofing you do, there will be some things which you forget or simply just miss. Oh well, just do the best you can. Another word of advice is that any type of behavior you want to discourage should be consistently focused upon. This includes biting and chewing. Fortunately, this phase does not last too long. However, you want to consistently tell the puppy NO in a very firm voice and tone whenever they bite a hand, finger or some type of thing that may actually hurt them. Instead, you want to have some soft type of chew toys which they can bite. Immediately replace whatever they were biting with the acceptable toy. In this way they will learn which things they can bite and chew and those they cannot. Training a new puppy is one of the most important tasks to focus on. This is something which many people stress a lot about needlessly. Training a puppy is really just about remaining focused and doing the same thing consistently. Whatever you want to train them to do should be focused on. Toilet training is always a popular topic. The best way to accomplish this is by taking them outside at the same time every day. Being consistent is the fastest way to training your new puppy. However, sometimes getting them to eat this can be a bit of a struggle. Most likely, they will be used to the type of food that the shelter or pet store has been giving them. Of course, this food likely will not be what you want them to eat. In fact, it may not even be available beyond the initial supply you received from the place you bought or adopted the little one from. There are several schools of thought on this. One theory is that you give the dog the type of food you want them to eat. If they refuse, then it can become a question of will. However, when they are hungry enough they will eat. Personally, I am not sure I agree with this philosophy even though I can see the logic to it. Another way that many experts recommend is by simply weaning them off of their original food a little at a time. Take whatever chow you want them to eat and mix it in with their original brand 20 to 25 percent at a time. This will just take a few days and the puppy will likely not even realize what has happened. Pick a good quality dog or puppy food. Just examine the ingredients. If the first three are dry food kibble or grains, pass this over. Ideally, you want something which has meats as the first ingredients. Things like duck, chicken and even chicken meal are good choices. These are just some of the basic tips that you should keep in mind when bringing your new puppy home. Probably the most important things are just making sure that everyone is truly on the same page and is willing to help out with the new arrival. Beyond that, really most things will pretty much fall into place one way or another. You have to make sure puppies are healthy and happy. There are many things to think about, consider and do when you have decided to bring a new puppy home. First, you need to really have the proper expectations. This also includes making sure that all the other members of the family understand the changes which are coming and that everyone is prepared for this and ready to do their own part. By having the proper expectations, a new puppy owner must understand that things are going to be rather busy, hectic and possibly a bit confusing at first. This is true both for you and the new addition! You will need to house break the little one and most likely institute a program of obedience training. This includes getting them to stop biting people and other animals, learning new commands and helping them to get along with other family members. In one sense, training a new puppy is like becoming a parent and taking care of a new baby! Fortunately, this phase does not last nearly as long as a new baby will. It is also not nearly as expensive. As a dog lover and owner, I fully concur with the author that one of the most important factors is making sure that all of your family members are on the same page regarding this new addition. Animals, especially puppies, can be very sensitive to changes in mood and behavior. If there is someone who is not completely welcoming, the puppy will likely sense this. This can lead to more stress for the new animal. 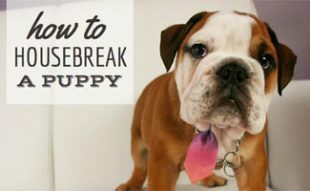 Whoever wrote this post did a great job summarizing how to prepare for a puppy. I just wanted to share one quick experience with my Jack Russell. When I brought him home he was already a few weeks old, so I figured some time in the warm sun would do him well. It had rained a few hours earlier, so my jack being a puppy licked up some water from a puddle. I didn’t think anything of it until he came down with a tough case of diarrhea. It persisted, so took him to the vet only to discover that he had a parasitic disease called dog giardia (there is a human and cat form of the disease as well). Luckily there are prescription medications for it, so we were able to clear it up. The bottom line is you have to watch your pup like a hawk as their immune systems are not completely developed. Things that older dogs can fight off are not the same in our pups. I hope this helps others who are bringing home their bundle of joy.